If you are looking for a sports chiropractor in the Peoria area of central Illinois, below is an overview of the three reputable practices that specialize in athletes and sports performance. The Peoria chiropractors behind each of these clinics offer services that are ideal for sports therapy and rehabilitation. With that said, these are the clinics you should visit if you seek specialized treatment for structural and muscular imbalances, injury rehabilitation functional problems, and neuromuscular disorders. What makes Eastside Wellness Chiropractic different is the practice’s holistic approach in treating their patients. They don’t just offer chiropractic solutions, they also promote mobility exercises and wise dietary choices. The Peoria chiropractors of Eastside Wellness Chiropractic thoroughly evaluate the source of the pain in your body then come up with a treatment plan that will bring long-lasting comfort. The clinic’s staff is composed of experienced and licensed doctors with a team of trained assistants. When you enter Eastside Wellness Chiropractic, you will not only get treatment for your pain, you will also be provided with professional advice on how to keep your body healthy. Eastside Wellness Chiropractic offers a wide array of treatments that include the following: Active Release Techniques, Cox Flexion Distraction, Dynamic Neuromuscular Stabilization, McKenzie Method, Functional Movement Screen, Selective Functional Movement Assessment, and Impulse Adjusting Technique. All these services are effective for sports therapy and rehabilitation. Nelson Chiropractic is currently headed by its founder Dr. Rodney Nelson. The chiropractor is an advocate of what he calls the “whole person approach”. With this approach, the doctor looks for the underlying causes of the pain and other symptoms that the patient is experiencing. The doctor will then recommend an intervention plan and lifestyle adjustments that are aimed towards making the body healthy again. Nelson Chiropractic offers five main services. These are chiropractic care, corrective exercises, lifestyle advice, nutritional counseling, and health workshops with spinal screenings. Again, if you are an athlete, the chiropractic services can be very valuable in making sure that you are healthy and fit. Tuttle Chiropractic, which is headed by Dr. Justin Tuttle specializes in treating a wide array of illnesses like headaches, herniated discs, neck pains, osteoarthritis, whiplash, and back pains. The clinic is open on weekdays but is closed on weekends. Dr. Tuttle is an experienced chiropractor with an extensive educational background relevant to the field. Athletes or anyone involved in sports can expect high-quality sports therapy and rehabilitation from him. Whether you are suffering from pains in your body or you are recovering from a sports injury, Tuttle and his team have the right treatment plan for you. 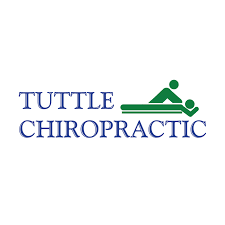 Tuttle Chiropractic also offers family chiropractic services which include treatment options for ADHD and colicky babies. Many people have the wrong assumption that chiropractic care is only for adults. Tuttle Chiropractic dispels this assumption with their chiropractic care services for children. And last but not the least, the clinic also offer chiropractic services for pregnant women. The establishment has a trained staff who will provide personalized care during the pregnancy and after childbirth. This entry was tagged active release, adjustments, athletes, athletics, chiropractic, chiropractic care, chiropractor, chiropractors, illinois, peoria, physical therapy, sports, therapy, treatments. Bookmark the permalink.